Nemkumar (Nemy) Banthia is a Professor, Distinguished University Scholar and Senior Canada Research Chair in Infrastructure Rehabilitation at the University of British Columbia, Canada. Professor Banthia is a graduate of IIT-Delhi with a PhD from the University of British Columbia. He also leads the Canada-India Research Centre of Excellence (IC-IMPACTS) as its Scientific Director and CEO. One of the most cited in the field of concrete materials and structures, for the past twenty-five years Dr. Banthia has worked tirelessly to understand the performance of concrete structures under various conditions of loading and environment, developed numerous advanced ultra-high performance concrete materials with fiber reinforcement, devised innovative methods of laboratory and field testing, and developed novel sensors for structural health monitoring. Dr. Banthia holds 7 patents, has published over 400 refereed papers, and edited 20 volumes. He serves on the editorial board of eight international journals and is the Editor-in-Chief of the J. of Cement and Concrete Composites—a journal with the highest Impact Factor in the field. His awards include Wason Medal of American Concrete Institute, Solutions Through Research Award of the BC Innovation Council, Wolfson Merit Award of the Royal Society of the UK, Killam Research Prize from the Killam Foundation, Horst Leipholz Medal of the Canadian Society for Civil Engineering, Mufti Medal of Excellence of the International Society for Health Monitoring of Infrastructure (ISHMII), and the Leadership in Science and Technology Award of the Drishti Foundation. 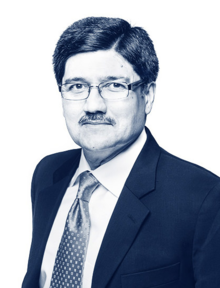 He is a fellow of the American Concrete Institute, Canadian Society for Civil Engineering, Indian Concrete Institute, Canadian Academy of Engineering, and the Royal Society of Canada. In the context of IC-IMPACTS, Dr. Banthia believes that the most effective way of improving lives of global citizens is through nationally supported research collaboration in science and technology. Through his leadership, IC-IMPACTS has demonstrated that such a collaboration brings about innovations that transform lives. Dr. Banthia’s work in India was recently awarded the Global CSR Medal of Leadership and Excellence.